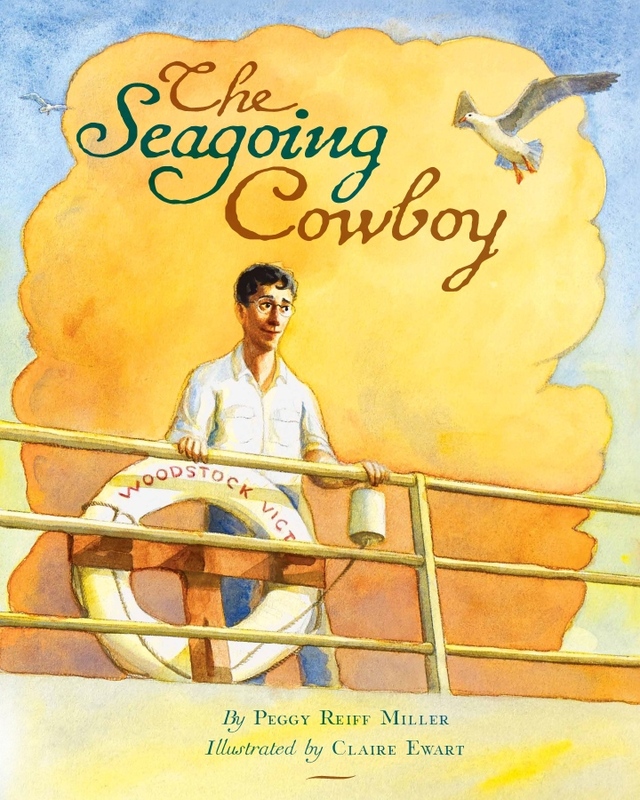 Today is the release date for my children’s picture book The Seagoing Cowboy published by Brethren Press. It’s been a long time coming, and I can’t be more excited! Claire Ewart’s vibrant illustrations bring the story to life, and book designer Paul Stocksdale’s map illustrated with historical photos following the story adds tremendous value to the book. I’m grateful to Brethren Press for taking on this project and to all the seagoing cowboys who have shared their stories with me. You can purchase the book here. Claire Ewart and I will be signing books at Better World Books in Goshen, Indiana, from 6:00 to 8:00 tomorrow night, April 1 (no fooling!). I’ll have my private launch party on Saturday, then head on down to Little Rock, Arkansas, where I’ll be presenting at Heifer International as part of the Arkansas Literary Festival on Saturday, April 16. Watch my events page on my website for something near you.